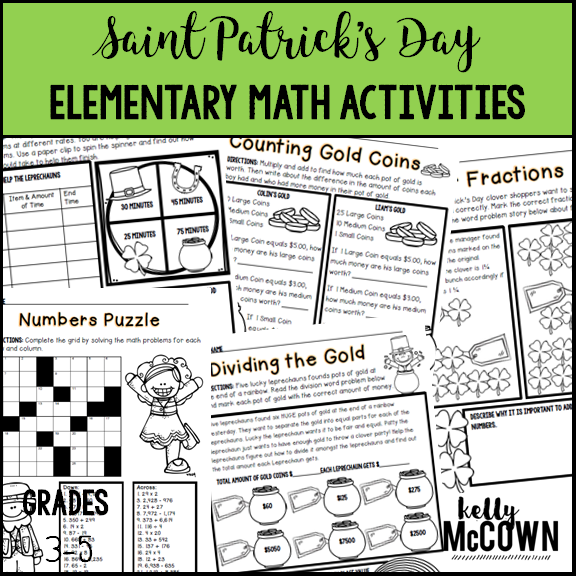 These Saint Patrick's Day Math Activities NO PREP packets will keep your students engaged! These packets are just plain fun. 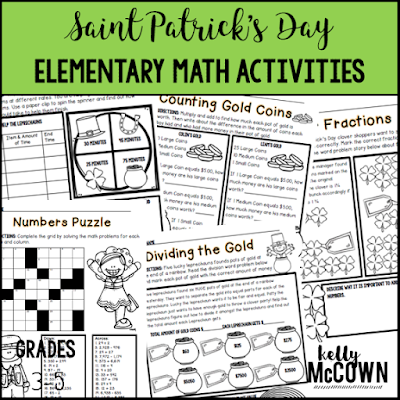 Not only are they PACKED with grade level common core math problems, it also gives students fun coloring, puzzles, and problem solving. 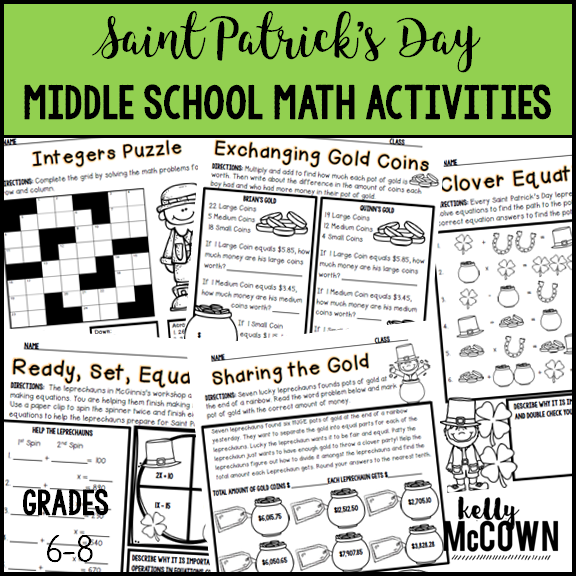 Use these packets for bellwork, classwork, extra credit, fast finishers, or homework. 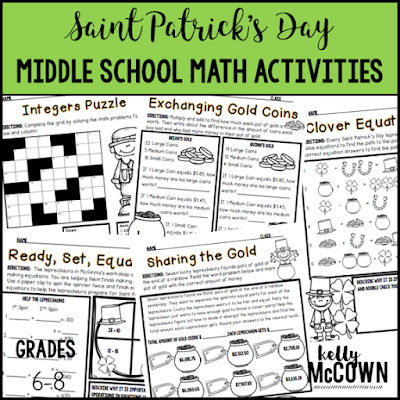 *Packed with 3rd, 4th, & 5th grade common core math problems for review and practice. *Packed with 6th, 7th, 8th grade common core math problems for review and practice.